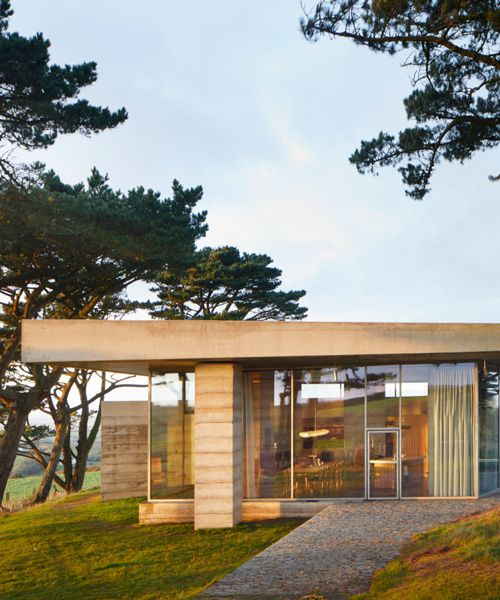 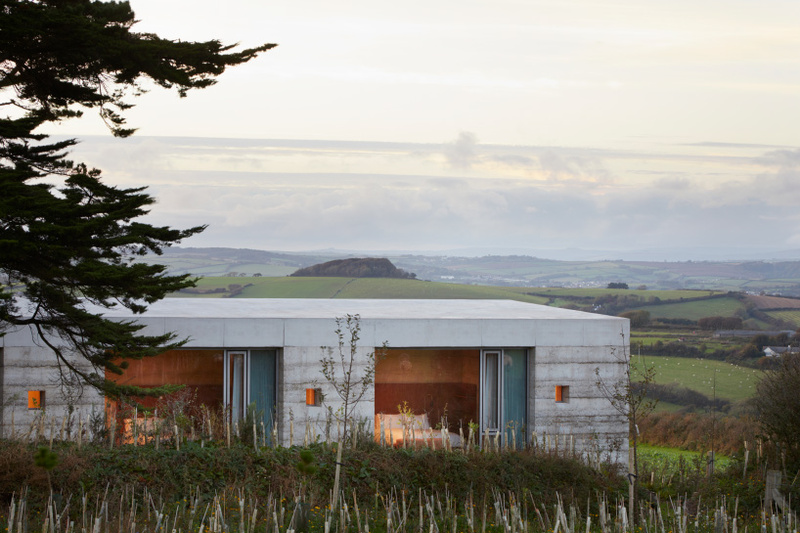 the project, named ‘secular retreat’, is zumthor’s first permanent building in the UK and marks the seventh commission in the living architecture series. 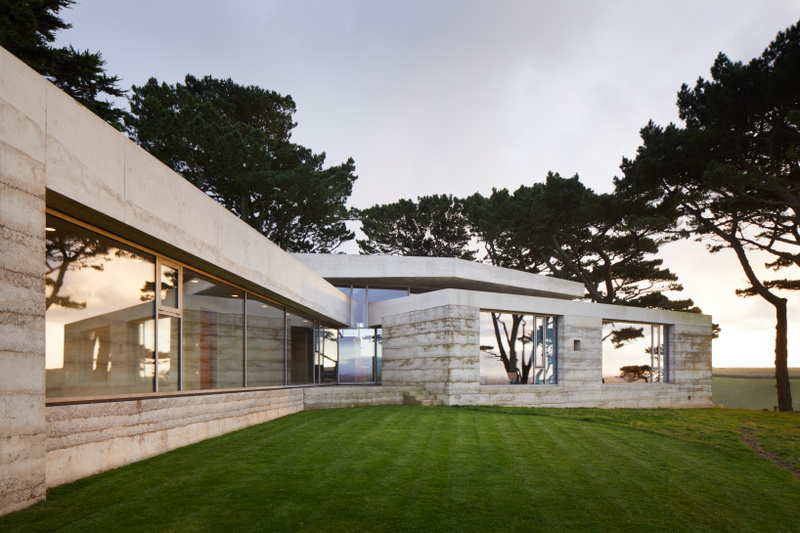 the house is surrounded by 20-meter-tall monterey pines, which were originally planted to shield the site’s previous structure. 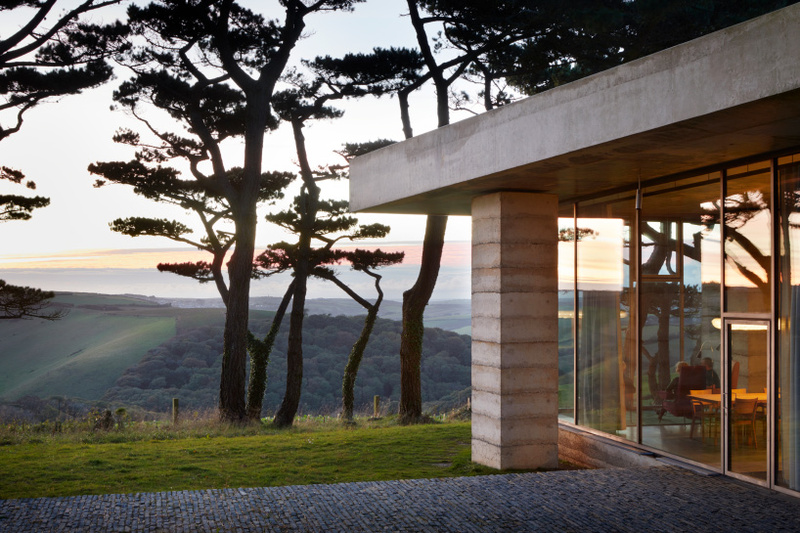 the layered-concrete and glass design sits horizontally on the site, framing all-encompassing views across the landscape. 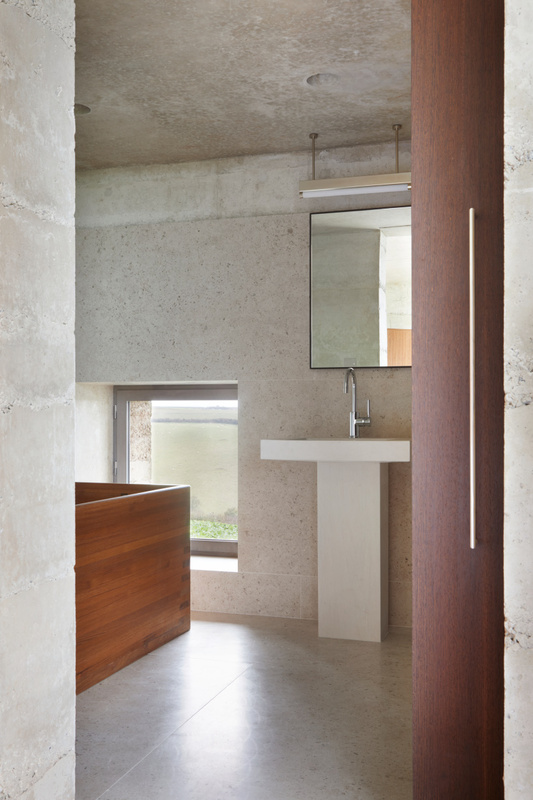 the building’s hand-rammed concrete walls delineate the interior spaces, which are capable of accommodating up to ten guests. 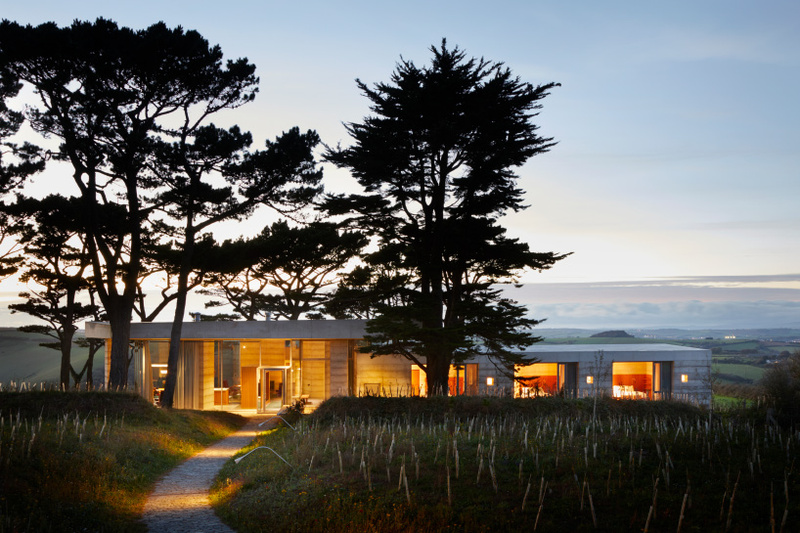 a large open-plan living space is found at the center of the home, while two separate bedroom wings extend between the trees. 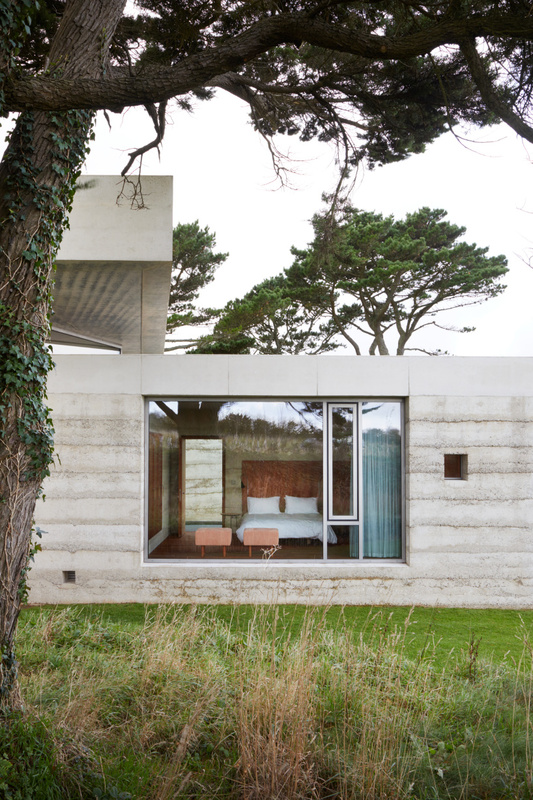 as part of the project, zumthor has also designed a range of sofas, chairs, tables, and lights, which complement the dwelling’s architecture. 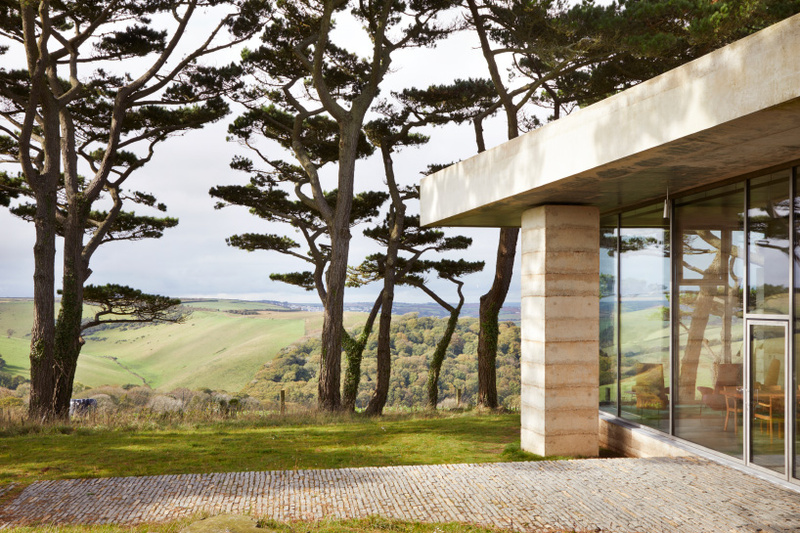 large windows present views of the surrounding garden, which was designed alongside landscape architecture firm rathbone partnership. 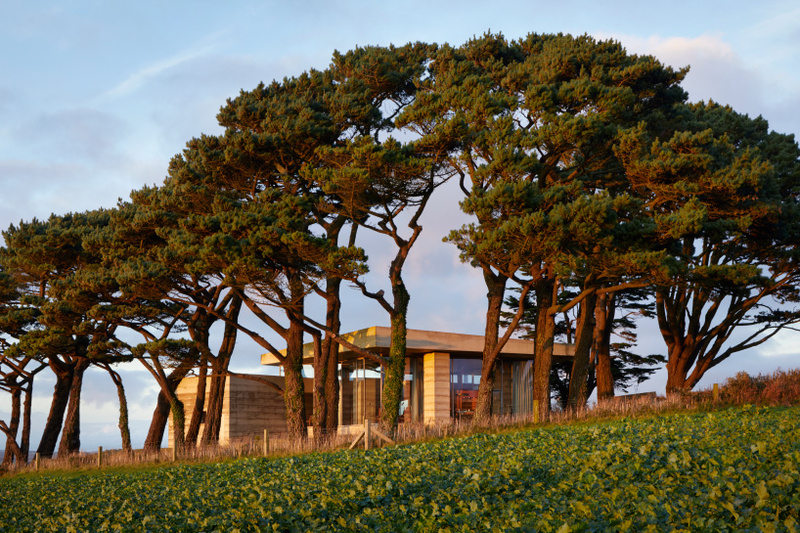 the ‘secular retreat’ is scheduled for full completion in december 2018.